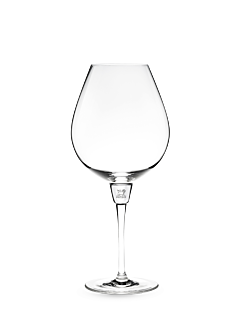 The shape of the glass influences the tasting of a wine. That is why Peugeot offers an exclusive collection of red wine glasses designed to highlight the elegance of the aromas and the persistence of the bouquet. The perception of a red wine depends very strongly on the glass in which it is served. Here, all the senses are important, from the colour that is perceived in terms of transparency, to the nose and mouth that first contact should not be affected by any external smells. With its expertise in oenology, Peugeot has created an elegant collection that is timeless and refined, and made with crystalline glass, in which each wine glass reveals the character of the finest red wines, creating the ideal condition for their development. 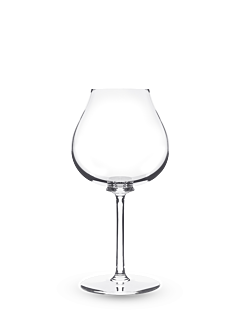 Between the iconic shapes of tulips and lyres, revisited with a touch of delicate modernity, the Peugeot red wine glass stretches on a high stem, allowing the glass to be held without being warmed by the palm. 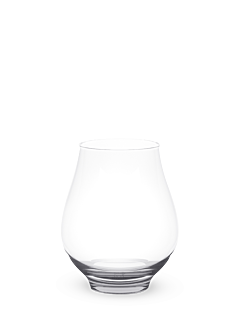 More or less tapered, the glass unfolds into a wide bowl with generous curves, promoting the aeration and oxygenation necessary for the development of a red wine’s aromas, as it must be possible to swirl the wine in the glass, which then tapers towards a narrow rim in order to concentrate all the power and subtlety of the wine in its bouquet, and then in the mouth.